Mums-to-be will love the fashion-forward feel of this funky bunting from our Showered With Love range. 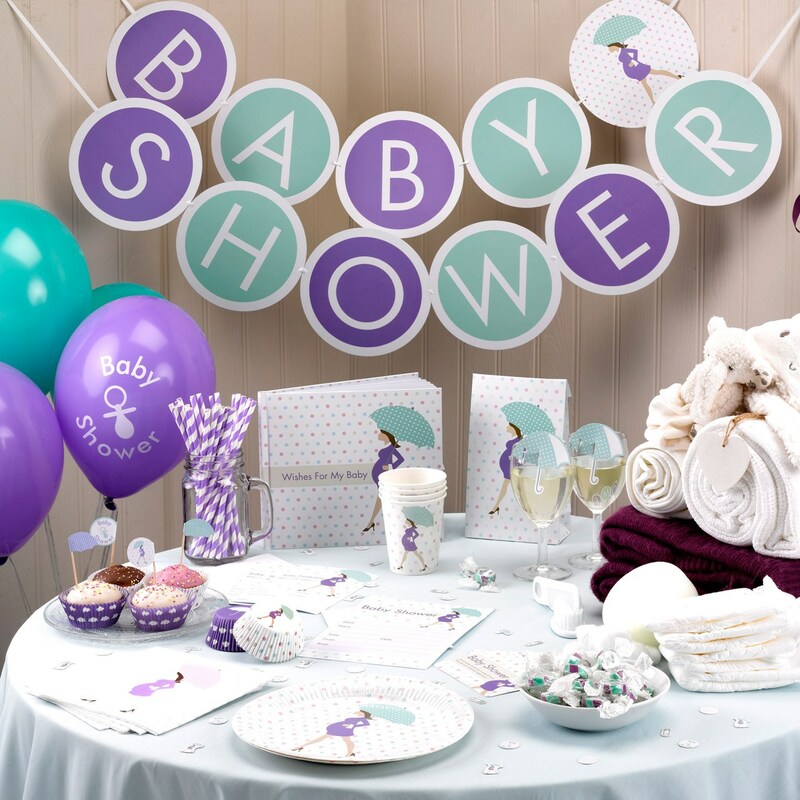 Made from high quality material, featuring Baby Shower text on aqua and mauve circular flags, this colourful decoration can be used indoors or outside to add some fun to your celebration. Each pack contains 11 pendants, 3mtrs length.